Molly's father Ian Russell welcomed Instagram's commitment and said he hoped they would act swiftly to implement their plans. "It is now time for other social media platforms to take action to recognise the responsibility they too have to their users if the internet is to become a safe place for young and vulnerable people," he added. Beyond Today podcast: How bad is social media for my mental health? 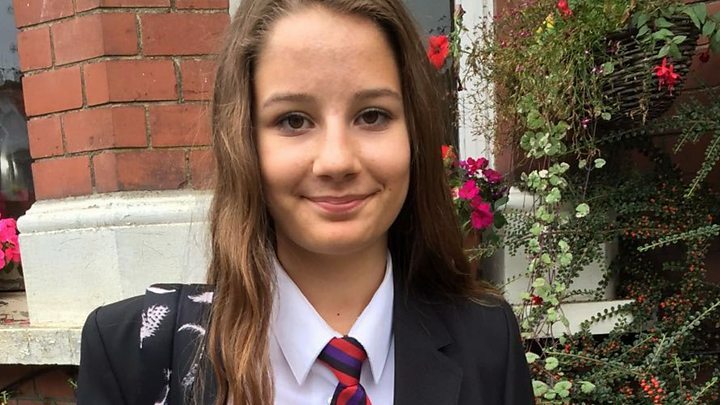 Health Secretary Matt Hancock described the death of Molly Russell as "every parents' modern nightmare". He said it was right for Instagram to take down "the most graphic material" but added that "we need to be led by what the clinicians and experts say need to be taken down". Speaking after a meeting with social media companies as well as the Samaritans, Mr Hancock said he wanted to see a duty of care for all users of social media and that he was "perfectly prepared to legislate if necessary". Digital minister Margot James told BBC Radio 4's PM programme the government would "have to keep the situation very closely under review to make sure that these commitments are made real - and as swiftly as possible". "I might have an image of a scar or say, 'I'm 30 days clean,' and that's an important way to tell my story," Mr Mosseri said.